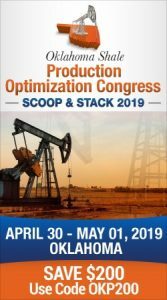 The U.S. oil and gas rig count rose by 10 in the past week while in Oklahoma, the count slipped by one but remained more than 100 active rigs. The Baker Hughes rig report showed the national count grew to 751. The count included six more oil rigs to reach a total of 597. The number of gas rigs grew by four to reach 153. 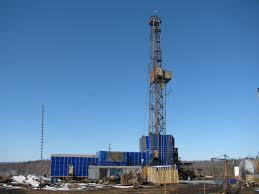 The total means an increase of 237 oil and gas rigs in the past year. Canada’s count fell by 21 in the past week to reach 331. Texas added 16 more rigs to reach a total of 378, largely because of the growing success of finding oil in the Permian Basin. The Permian added two more rigs to reach a total of 303 compared to the 165 reported a year ago. The Mississippian in Oklahoma and Kansas remained at 3 rigs while the Granite Wash added 5 to hit a total of 13 rigs. A year ago, there were 10 active rigs in the GW. The Woodfords in Oklahoma have a total of 7 rigs, same as a year ago. The Eagle Ford in south Texas added two to hit 61 compared to the 54 one year ago. Other oil-producing states reported losses with the exception of Kansas, where the Red Top Rig Report indicated an increase of four to reach 35. The Baker Hughes report had no rig activity in Kansas. Colorado remained at 26. Louisiana reported a loss of 3 rigs to drop to 51. New Mexico suffered a loss of 2 rigs to reach 48. The report in North Dakota slipped by one to reach 35.